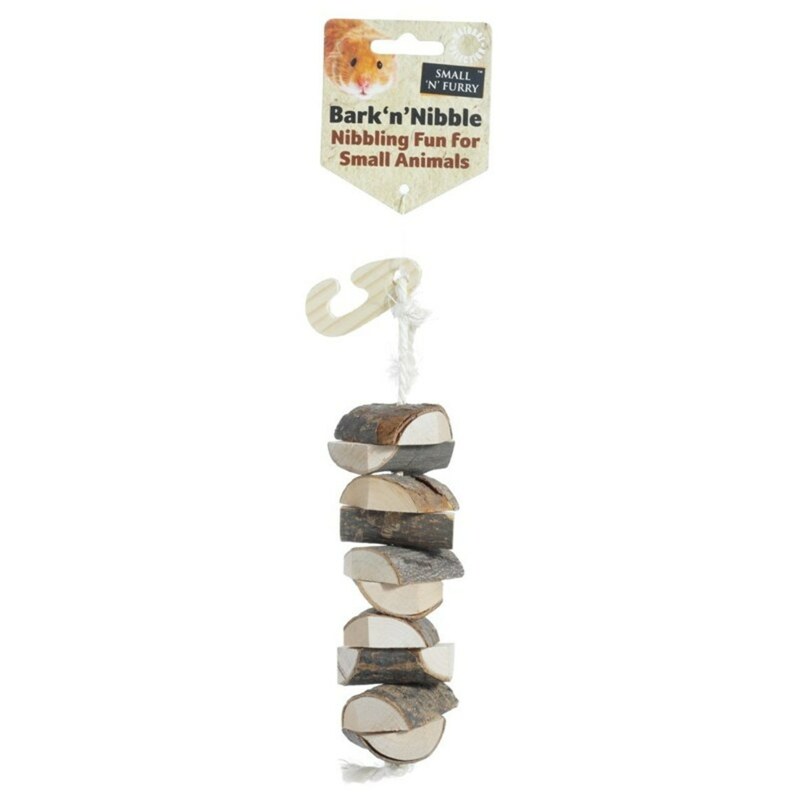 The Small 'N' Furry Bark 'n' Nibble is a hanging toy which contains natural wood covered in bark and is great for hanging in the cage. A source of enrichment as well as a tool for keeping their teeth clean and trimmed. There are currently no questions for Small 'N' Furry Bark 'n' Nibble for Small Animals - be the first to ask one!